These days almost everyone has their own ‘digital resume’. And with the increase of remote jobs and other remote-working opportunities, this number is only going to continue to grow. Besides, since most people have a smartphone these days — you can share your resume with anyone on the spot without having to think twice on it. In this post, we will cover the absolute best themes to help you create a professional resume that you can use as your digital CV. Before we get to the full list, let’s first understand the approach we are taking here. First and foremost, we have divided this roundup into two parts: free and paid. The free part takes up 1/3 of the roundup, while paid takes up the other 2/3. That’s roughly 5 free resume themes and 10 premium resume themes. Although we would have loved to include a lot more free ones, the market for decent — modern — CV themes is as sparse as it gets. In fact, we had to dig deep to find interesting and not overused themes to show to you today. Please enjoy them at your own leisure! Lastly, remember that building a resume is a persistent process. Start out with the critical necessities and continue to build as your work experience grows. We recommend taking advantage of the blogging tools that many of these themes provide. This way, you can share your expertise while slowly generating a following, and who knows — maybe even new opportunities. The McLuhan theme has seen more than 20,000 downloads over the years. Some developers dream of this level of exposure. As a result, you can rest assured that McLuhan is as successful as its made to look by the community. This simple and free theme is ideal to present your resume in the form of article laydowns and simple information pages. The design is based on 1/3 Sidebar for 2/3 Content Area and uses only Black and White colors. Despite the simplicity, McLuhan manages to provide AJAX-based Search, supreme responsive design, social icons, and full-on support for the Gutenberg editor. It’s a dream theme for anyone looking to promote their work using content posts. Resumee is a dynamic and flexible theme that’s going to help you highlight the best parts about your digital CV. The elegant presentation of design elements immediately captures even the most untrained of design eyes. Further, thanks to the widgetized homepage area — you can add as little or as much content as your heart desires. The most important thing is that you are having fun while using a theme like Resumee! Monty is a vibrant theme to help you bring to life a wonderful digital Resume or CV website. Its flexible design means that anyone from graphic designers to freelance writers can adapt Monty to their needs. The setup is an absolute breeze! Also, you’ll be doing most of your design editing using the WPBakery’s page builder plugin. So, moving things around or adding new sections is as simple as dragging a few elements from within the page builder dashboard. It’s not a theme that’s going to hold you back, rather — Monty will help you greatly in establishing a strong digital presence for your work! Is there such a thing as perfect? Maybe in some “perfect” world. But as far as the Perfect Portfolio theme goes — it’s a wonderful work of creativity and thoughtfulness. A theme that’s great at helping you display your work experience, qualifications, and all the achievements you’ve reached over the course of your career. Whether you’re a photography expert or a freelance writer — Perfect Portfolio has a design structure that’s easy to adapt towards custom needs and demands. So, if a client of yours needs a resume website — this theme can do it for you easily. Intrinsic is a new and fresh WordPress theme to help you kickstart a stunning portfolio website. The design scheme integrates the many qualities that you have come to love and admire about WordPress templates. This one, in particular, shines through with a lavish structure to help readers learn all there is about you. Apart from a pre-built design, you can use Intrinsic together with page builders like Elementor, and Visual Composer. Further, with this theme, you don’t have to design a separate section for galleries, or showcase sections, in fact, you even get a blog design to go with it. As a result, Intrinsic offers the capacity to serve as a portfolio site for any kind of purpose. Whether you’re a freelance designer, construction worker, or an investor — this magnificent theme won’t disappoint. Last but not least, thanks to the deep integration with page builders — it’s extremely easy to customize the design yourself. You can choose from in-built Blocks that you can further style and customize. With the level of complexity that modern tools support these days; creating a unique website won’t pose any serious issues. Your portfolio website is like your digital business card. And we all know that business cards that look good leave a long lasting impression. Hell, some people might even save a business card because it’s so well-designed! Ryan is a professionally designed theme to be used for personal, resume, CV, and vCard websites. While boasting a sleek and natural look, Ryan packs a heavy punch with its many customization options. And, it’s also highly flexible, so you can edit the overall feel of the theme without much fallback. Some of the existing users are using Ryan for their freelance, photography, personal, art, and other websites. It’s the perfect compliment to the business operations that you do online. Ryan lets you write blog posts talk about your services, and you can add a contact form in the mix too. Excellent responsive design, ensuring your resume website looks pristine on any device or screen size. You can choose from a One-Page or a Multi-Page design. In-built support for RTL so you can translate in any language you like. Added contact form with the support to add Google Maps. Don’t want to waste time designing? Just use one of the included demo designs and you’re good to go. Blog functionality. Don’t just leave your site rotting, write and share stories with your fans. Glitche is actually designed by the same person who built Ryan. I think you can recognize the similarities between both quite clearly. That said, Glitche is a more lavish version of Ryan. So much so that the ideal user would need to be a designer or a developer. At least someone who works in tech and can appreciate the nifty front-end elements implemented in this design. The resume presentation is simple and uses exceptional typography to tie together a design that’s going to make your portfolio shine. An independent portfolio section is available which you can use to share any work that you might have done in the past. And if you desire to write blogs, there’s an option for that too. Overall, this is a very stylish theme that boasts modern design principles and uses eye-enticing typography. It’s the final result of someone’s creative inspiration. It’s hard to imagine people not liking your CV if you choose to go with this theme. Multiple background variations, from simple images to videos and plain backgrounds. 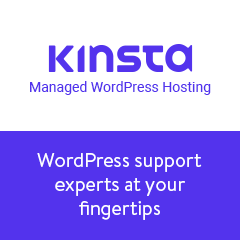 Customize every aspect of the design, whether through WordPress Customizer or by using a plugin such as King Composer. You get free access to Advanced Custom Fields PRO which is valued at $25. Many widget-ready areas to help you get more content added more quickly. Clean codebase and code optimized for performance. With this theme, your site will be as compliant with Google and other engines as possible. Huca’s irresistible style and presentation are hard to ignore for design–loving people. As it stands, Huca uses the photo-style portfolio format. As a result, it feels like this theme is most suitable for photographers, graphic designers, architects, web designers, and anyone who works primarily with visual projects. The theme itself comes bundled together with all the necessities of a WordPress theme. Pages, sections, even a Blog where you can write and share stories on topics within which you have expertise. The clean and white-color oriented palette makes for pleasant user experience, both on the homepage and throughout the site navigation. An easily importable demo design; takes less than a few minutes to replicate the demo website. Full-on support for Drag and Drop page building capacity. A custom-designed Portfolio with an added layout for single portfolio items. Want to sell your hard work? The Huca themes comes with an eCommerce option. All design structure is based on Bootstrap — enjoy making seamless customizations with ease. Right off the bat, Kerge theme has that distinct ‘premium’ feel to it. You just know it’s not your average free WordPress theme. And that’s a good thing, because in a market as saturated as WordPress themes — it’s starting to become a rarity to come across exceptional designs. Rest assured, Kerge is both exceptional and functional. Each section is separate from one another, with the homepage highlighting all the necessities about you and your work. You can attach a direct CV file so that readers can download your resume directly. But, for the most part, the first section on the homepage is built to show your bio picture, some client reviews, and also logos of the clients you have worked with. As you go through each section, you start to recognize the impeccable design quality, and also some of the animation effects implemented in this theme. Every section, whether it’s Resume or Blog has been thought through tenfold to ensure that user experience remains consistent. Porfo is a modern and professional WP theme for anyone looking to create a stunning digital CV. The theme comes in multiple variations (design styles) and two main color schemes: white and dark. Further, Porfo uses the King Composer page building plugin to ensure that you get the most flexibility possible. Additionally, the developers of this theme have put in a lot of work towards delivering good user experience. Themes such as Porfo showcase not only wonderful design skills but also the possibilities of modern front-end development. The ideal user for this portfolio theme is going to be anyone looking to present their work in a professional manner as possible. Porfo makes it easy to add new sections, to add new links and previous job experiences. Further, you can add brand logos, client testimonials, and write blogs about your knowledge in the field. ThemeREX has worked on this theme for the last 6 years, and have managed to upkeep it pretty well. So much so that there are some 2,000 people using the ShiftCV theme today. Using a unique design approach, Shift manages to create that strong impression that your site is indeed a resume presentation. Whether you need a solution for a CV or a plain Resume, we feel that Shift offers just the right tools for the job. Many of the users work in fields such as copywriting, web design, blogging, and even jobs out in the real world. With the powerful set of shortcodes and widgets, you can showcase your skills, job experience and achievements, missions, and priorities, provide testimonials, and showcase your portfolio on one page. Multiple designs for both the CV presentation but also the blog. You can enable people to have the option to download or print your resume directly. Full support for Elementor — one of the best page building add-ons on the market. Elementor opens the door to new ways of designing with WordPress. Custom shortcodes and other layout elements so that you can go all out with creative ideas and design customizations. Responsive web design, on top of being clean and accessible. And last but not least, full compliance with the latest GDPR rules. From the moment you lay eyes on this theme, it’s clear that PX-lab is pouring all of their love inside the theme to ensure your readers are pleasantly surprised. And with more than 1,500 customers to date — this is looking like a great choice for anyone needing a digital version of their CV. I think what makes RScard so special is the sheer number of features and design options. You would think that a resume website doesn’t need much, but think again. RScard offers the latest web technologies thoughtfully packed into a clean and well-optimized WordPress theme. It’s the perfect choice if you want to build a resume from scratch and have fun while doing it. For example, you can add sections like a Twitter feed. Pull tweets directly from your Twitter feed and showcase the world what you are tweeting about. Also, you can add a timeline-based work history chart that’s going to keep readers engaged. Additionally, RScard includes many well-known web design elements that aren’t so common amongst other resume themes we have seen. E.g. You can add a calendar, product pages, tabs and faq sections, a separate section for your interests, and a smoothly integrated portfolio to display your latest work. It’s a phenomenal theme to use if you want to display the full spectrum of your work and professional experience. In some ways, RScard feels like a startup theme, only built to suit the needs of individuals rather than organizations. ThemeBakers first released this theme back in 2012, so you know it has got some legs on it. But, more than 1,000 sales tell us that Biopic is doing something right, and people love to use it. As for my design opinion, this is a fairly organized theme without much “extra” so to speak. The intro perfectly introduces you and what you do and gives the readers several choices on how to proceed. For example, you can add an extensive Resume which includes everything from your professional bio to previous experiences, and education mentions. You can go as far as to add custom elements and other content that you see is crucial for a complete resume. The Resume page is separate from the front page and can be accessed independently. Likewise, your portfolio, blog, and contact pages are also separated but easily accessed from the left-side widget next to your photo. Rest assured, Biopic is optimized for SEO standards and includes well-organized H1, H2, Paragraph, and other tags. You just never know who might stumble upon your site from simple Google searches. Wonderful collection of resume and CV themes here I feel. Even the free themes are providing so much value and design flexibility. And on the premium side, we have stunners like iopic and Ryan making all the difference. What theme will you use to create your own resume website? Let us know all about it in our comment section down below!